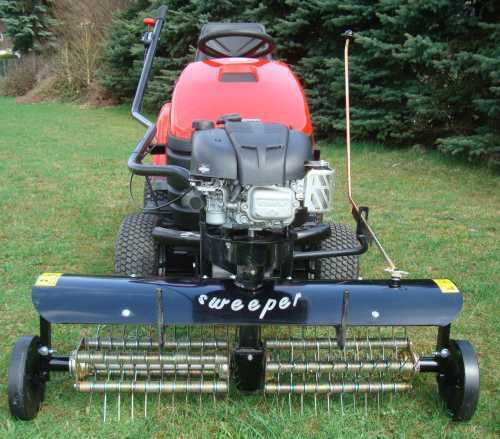 The scarifier has a working width of 110 cm. 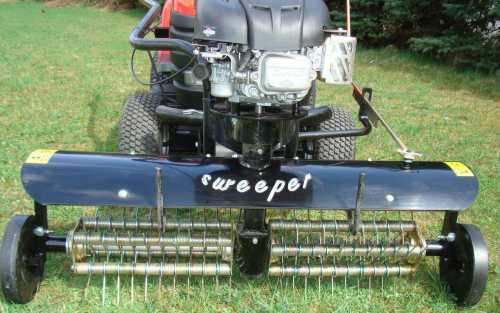 It is driven by an extra gasoline engine, thus the scarifier works independently without tractor and can be mounted on any tractor. 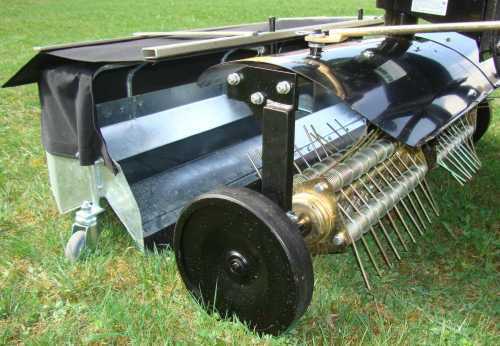 The scarifier is supplied as standard with an adapter suitable for your lawn tractor. 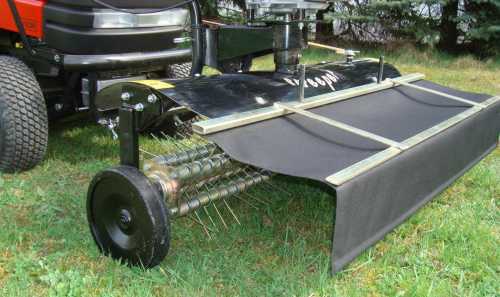 The scarifier can be installed on quads, but the adapter must be manufactured by yourself. 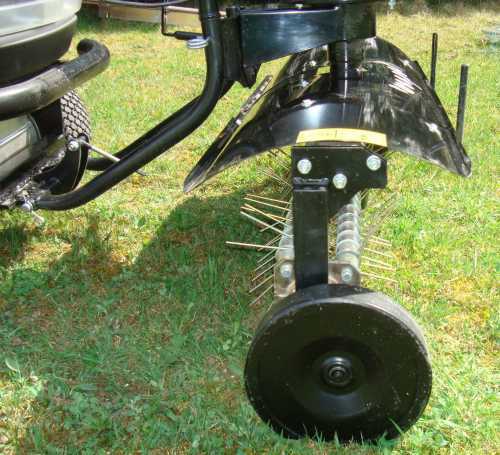 The pivoting of the scarifier happens via the seat by extended lever. 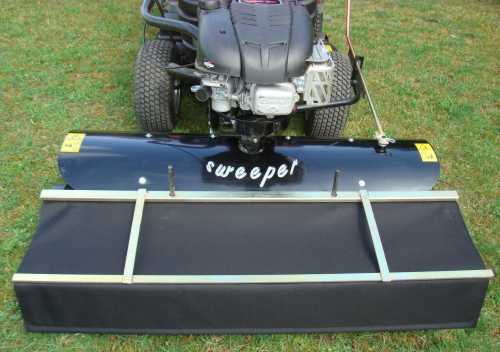 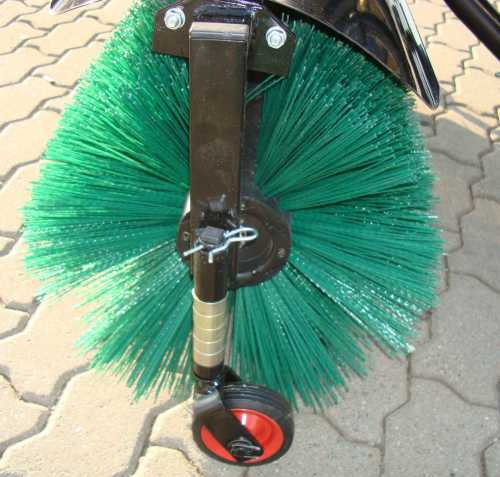 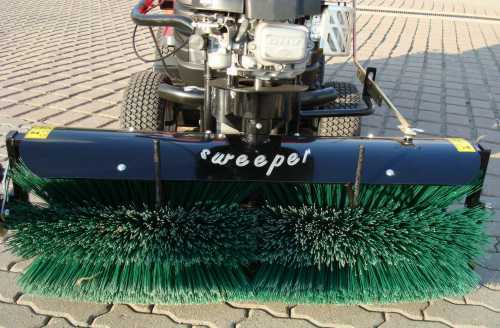 The sweeper without side brush has a working width of 110cm. 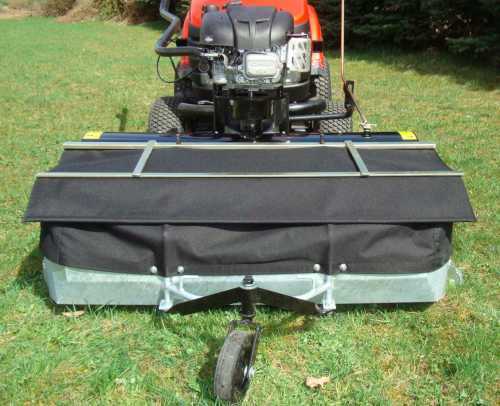 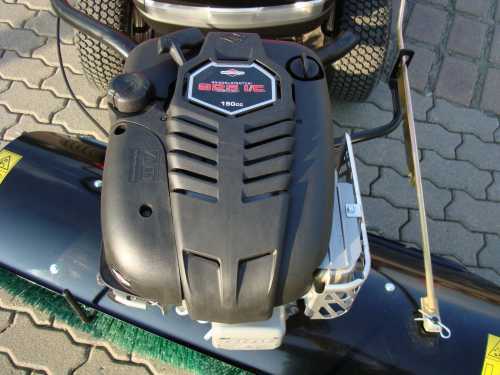 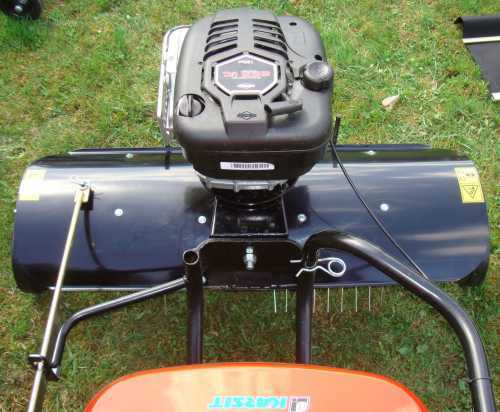 It is supplied with a collection container and a suitable adapter for your lawn tractor as standard. 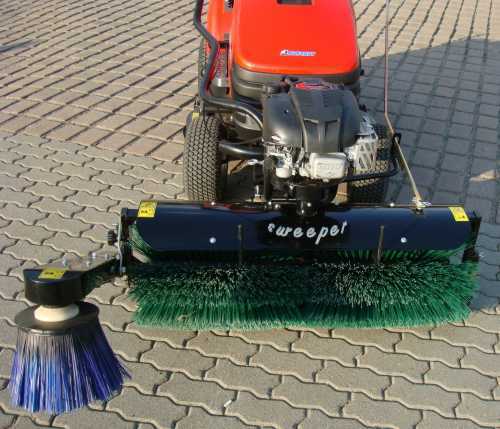 The sweeper can be lifted by means of an extended lever (lifting rod), lowered and pivoted laterally.